Looking for a case for your brand new iPad Air 3 or the iPad Pro 10.5? ESR has just the accessory for you today that is discounted to $6.99 as well. Buying a case or a screen protector for a brand new gadget is the logical step everyone should take. If you recently bought an iPad Air 3 or still holding on to that iPad Pro 10.5 then you need a case that does it all and protects your tablet from the elements around it. The deal from ESR we have today is on the Yippee Trifold Smart Case. 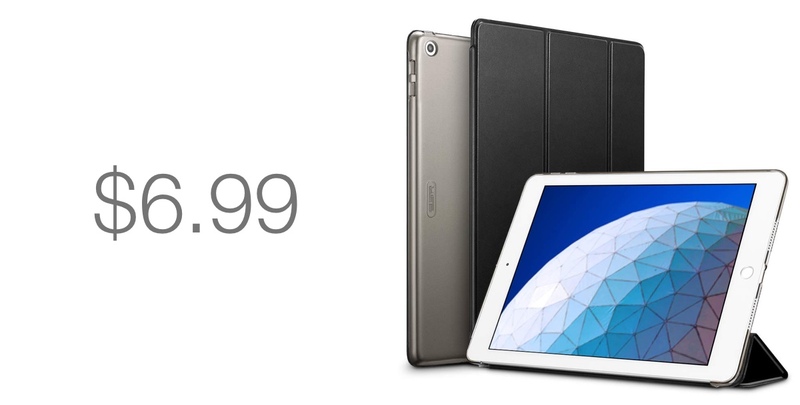 What’s so great about this case is that it protects the tablet from the front and back both. 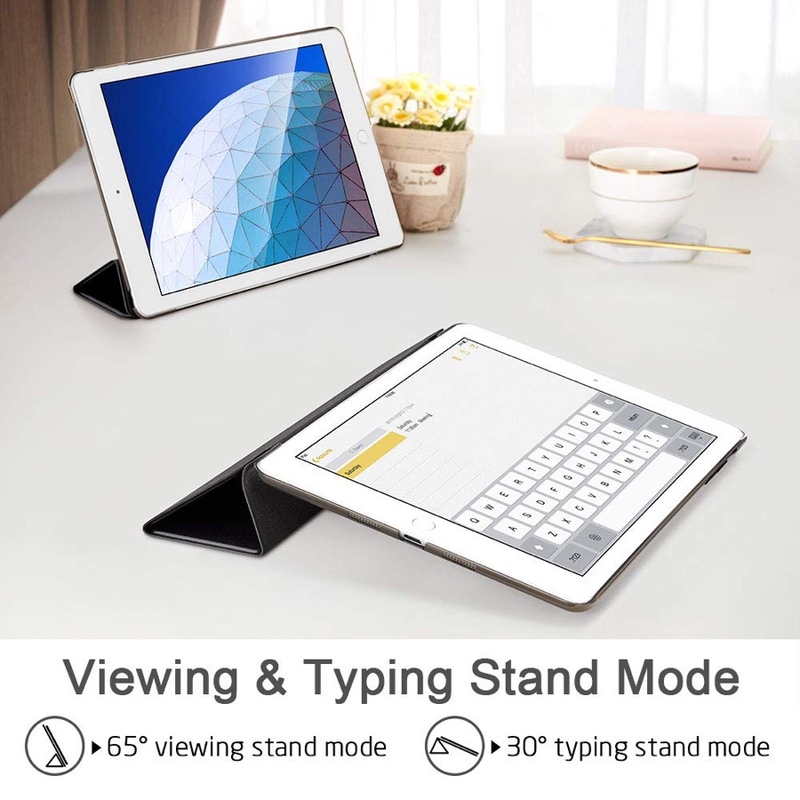 But the thing that might interest you the most is how the front of the case folds down to make your tablet stand upright in the landscape position. It’s an ideal stance if you want to sit on a coffee table and have a Group FaceTime call with your friends or family members, or maybe even catch up on a TV show or movie while you sip on that latte. Things get even better when you realize that you can put your tablet in typing position with the case’s outer cover. Essentially, it’s a case that does it all for you. [Compatibility]: Designed for the iPad Air 10.5″ 2019. Not compatible with any other iPad models. Other iPad 10.5 cases are not designed for iPad Air 3 10.5″ 2019. [Reliable Auto Sleep/Wake]: Stronger magnets ensure the auto sleep/wake feature works quickly every time. [Stable and Sturdy]: Multiple built-in magnets lock together when in standing mode for sturdy viewing. [Uniform Front and Back Color]: All back cover matches the front cover, for a simple yet elegant design. If you like to purchase this case for yourself then you can grab it from the link below. Make sure to enter the special discount code at checkout in order to bring the price down to the sweet $6.99 mark.